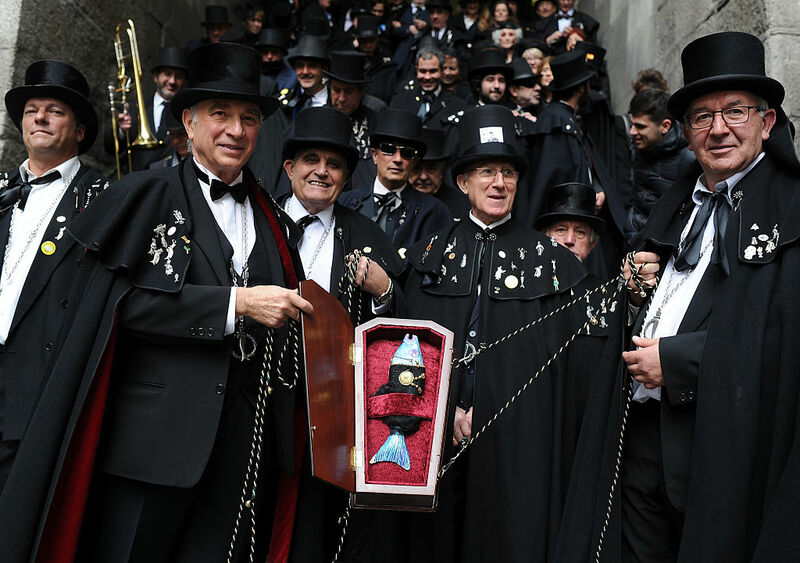 The Burial of the Sardine (Entierro de la Sardina) is a ritual carried out in several Spanish cities as well as some areas of Latin America to officially end Carnival and usher in Lent. It is often held early on Ash Wednesday morning. A satirical funeral procession is held for a fish, either real or an effigy, and the funeral is supposed to symbolize the death of self-indulgence as well as the burying of one's past in order to have a better future. The origin of the custom is said to be the time Charles III of Spain gave commoners sardines to celebrate Carnival, but the day was hot and the sardines went bad, so they had to be buried to get rid of the smell. Another possible origin comes from the symbolic burial of a pig, or cerdina, at the beginning of the fast. Over time, the word cerdina eventually became sardina. During Carnival in Ivrea, Italy, a battle reenactment turns into one of the world's largest food fights. The Battle of the Oranges recreates the 12th-century overthrow of the town's tyrannical baron by commoners. For three days immediately before Lent, the baron's men parade into town on carts, where they are pelted with 400 tons of oranges brought in from Sicily. They fight back, too. It takes a crew of 100 workers to clean up the orange mess every day. On Mardi Gras, the town awards prizes to the teams of townspeople with the best costumes, fighting ability, and adherence to tradition. Romanian pre-Lenten feasts are held on Cheesefare Sunday in the Eastern Orthodox tradition. This is the last day dairy products are eaten before Lent. Treats include gogosi, which is a kind of deep-fried doughnut, and papanasi, which is a cottage cheese dumpling. 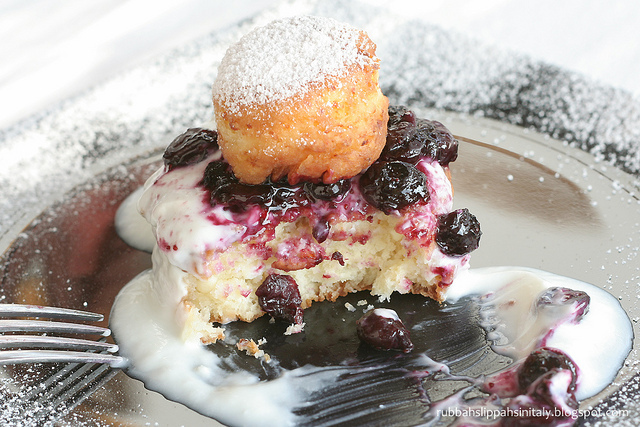 The cheese is mixed with sugar and other ingredients and fried, then served with sour cream and jam. Other versions of the holiday are celebrated in Russia and Ukraine, and may feature dairy products, bonfires, or outdoor activities. 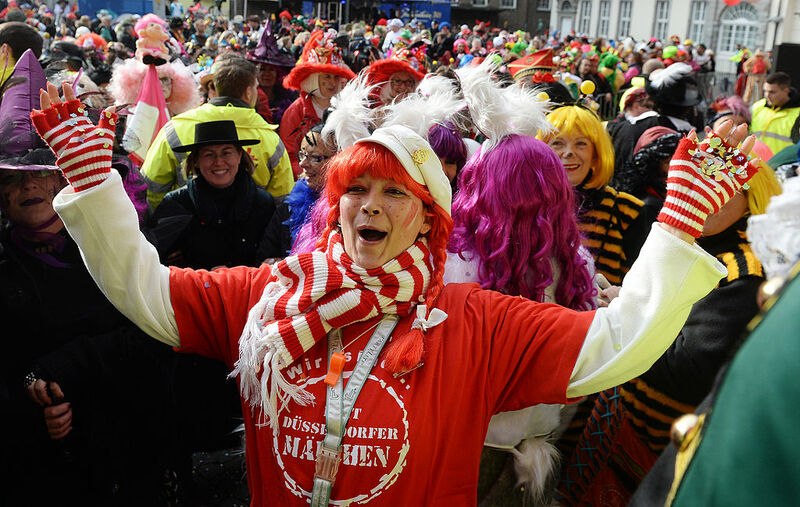 Fastelavn is the Danish Carnival. It began as a pre-Lenten festival when Denmark was a Catholic country, but when the nation became mostly Protestant, the celebration remained in a somewhat more secular form. Children dress in costumes and collect candy, much like trick-or-treating. There is also a pinata-like game called "beat the cat out of the barrel." In modern times, the barrel is full of candy and not cats, but the roots of the tradition are in the idea of winter as a black cat that had to be driven away before spring could arrive. These days, the child who cracks the barrel open is crowned the "Cat Queen," while the one who knocks down the last piece of the barrel is crowned the "Cat King." Powder Day (Día de los Polvos) in Tolox, Spain, takes place on Shrove Tuesday as the big finish to Carnival season. Residents and visitors take great enjoyment in throwing talcum powder at each other until everyone is completely covered. Legend has it that the ritual was born when two women working in a bakery, one Christian and one Moorish, got into a fight over a man and began flinging flour at each other. It turned into a bakery-wide brawl. Later, the story was revived when men used Shrove Tuesday to throw flour on a woman to indicate interest in her. Now, however, everyone gets involved in the fun. Iceland celebrates Sprengidagur, which translates to Bursting Day, as a day in which you eat to the point of bursting. The traditional feast is salted lamb alongside a bean-and-vegetable soup (Saltkjöt og baunir). (Here's one recipe in English.) As a whole, Icelanders no longer fast during Lent, but that's no reason to drop a nice gluttonous feast day. 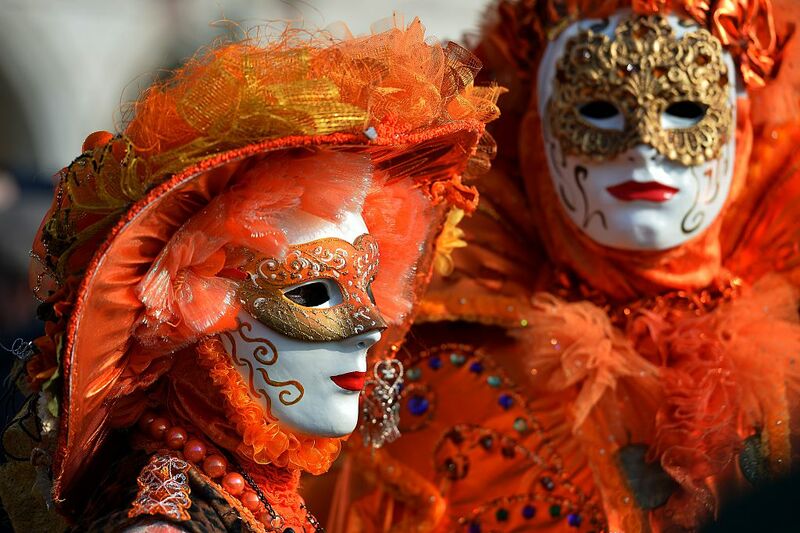 The Carnival of Venice is an old celebration, dating back close to a thousand years. The city comes alive with arts and crafts, performances of music and drama, and both public and private parties. 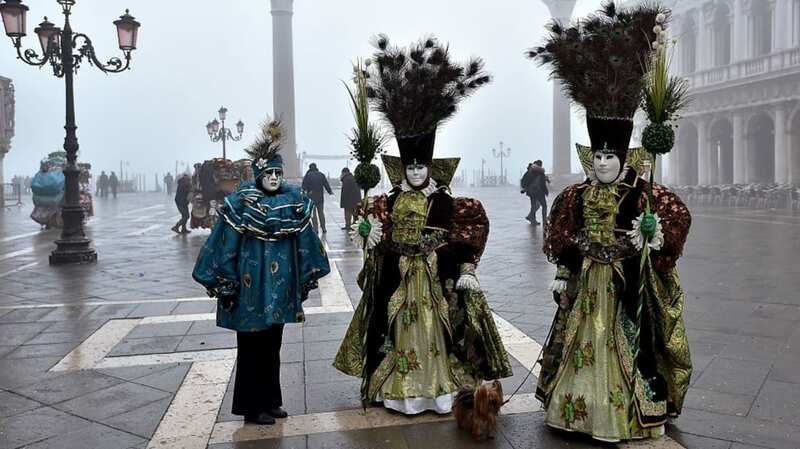 The most distinguishing feature of the Venetian celebration is the extensive use of masks. The idea behind them is that you cannot tell the social status of the person wearing one, so everyone is equal during Carnival. These days, Venice does a thriving trade in masks and costumes sold for the holiday, to tourists and locals alike. 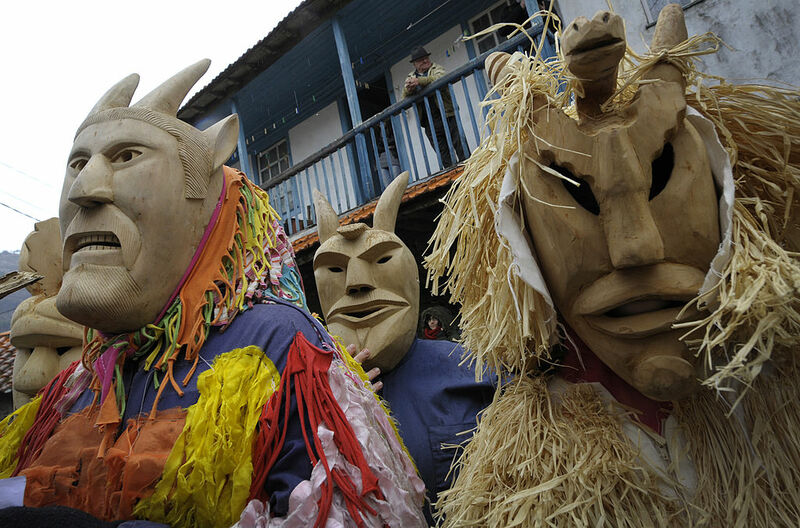 Fat Tuesday in Portugal is called the Festival of Entrudo. In centuries past, this festival included street brawls in which participants threw mud, food, or lemon juice at each other. The holiday is celebrated in Lisbon with lively parades and floats (much as in Rio), but in the town of Lazarim the day unfolds in a more traditional style, with a mocking poetry reading followed by a parade of townsfolk in traditional wooden masks and the burning of effigies. 10. MARDI GRAS // U.S.
Mardi Gras is celebrated in many places, but in the United States, ground zero for Mardi Gras is New Orleans. 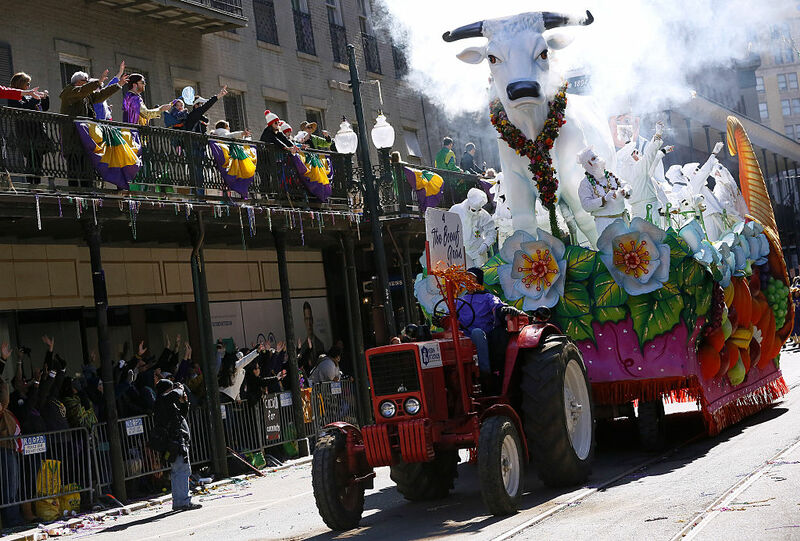 The city is known for its extensive schedule of parades, each organized by a local club, or krewe. Some of those clubs have been staging parades for a century or longer, while others, such as the Intergalactic Krewe of Chewbacchus, bring a more modern sense of fun to Mardi Gras. Portions of this list appeared in 2009 and 2012.